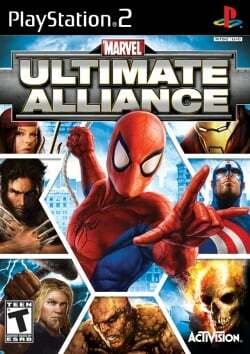 Game description: Marvel: Ultimate Alliance is an action/RPG that features the largest roster of comic book characters ever seen in a video game. Players assume the roles of more than 20 Marvel Super Heroes including Spider-Man, Wolverine, Blade and Captain America, and through their actions determine the fate of both planet Earth and the Marvel universe - revealed in one of multiple epilogues. Marvel: Ultimate Alliance offers total team customization, where players create their own team name, icon and vehicle, as well as establish their team reputation as they play throughout the story. Description: The game will get stuck on a black screen while booting. Workaround: Go to Config > Emulation Settings > Speedhacks tab, and disable the "MTVU (Multi-Threaded microVU1)" option. This speedhack is not compatible with this game.